Come and join us at The Queen Inn this Halloween. Disco from 7:30, fancy dress optional, it's just for fun! Book a table if you wish to dance & dine. Delicate and devilishly drinkable, this quintessentially Kentish ale lays the county's hallowed, herbaceous hops on a firm, biscuity bed of pale and crystal malt. Endowed with an inviting auburn-amber hue and a tantalising toffee-ish aroma, it's an enlivening English ale that, given its unassuming 3.7%ABV, pleasures the palate with a remarkable fullness of flavour..
With more than 40 gins from around the world to choose from, what an ideal time to try some different gins...We have gins that change colour, seaweed gin, rhubarb gins, some garnished with raspberries and some with chilli pepper and a FREE Fevertree tonic each time you purchase a gin! Truly summer madness in Dummer. Don't miss out offer applies until 22/07/17 and subject to availability. This golden ale comes from the same brewery as the famous "Doombar". It's ABV is 4.2%. Delightfully easy to drink with citrus and tropical fruits on the nose. Winner of "World Beer Award 2016"
This is a local ale from the Andwell Brewery which is 9 miles from the Queen Inn. A golden blond ale with an ABV of 3.9%. It has a fresh taste and citrus aroma. Back by popular demand. This award winning dark ale has an ABV of 4.5% and a distinctive full flavour with a sweeter finish. Brewed with English Maris Otter, Crystal Black and Wheat malts with Hallertau Northern Brewer and Cascade hops this ale has won 7 awards. best drunk with red meats, game, strong cheeses or of course on its own in front of a log fire! Special Halloween dishes & drinks, fancy dress & funky music! 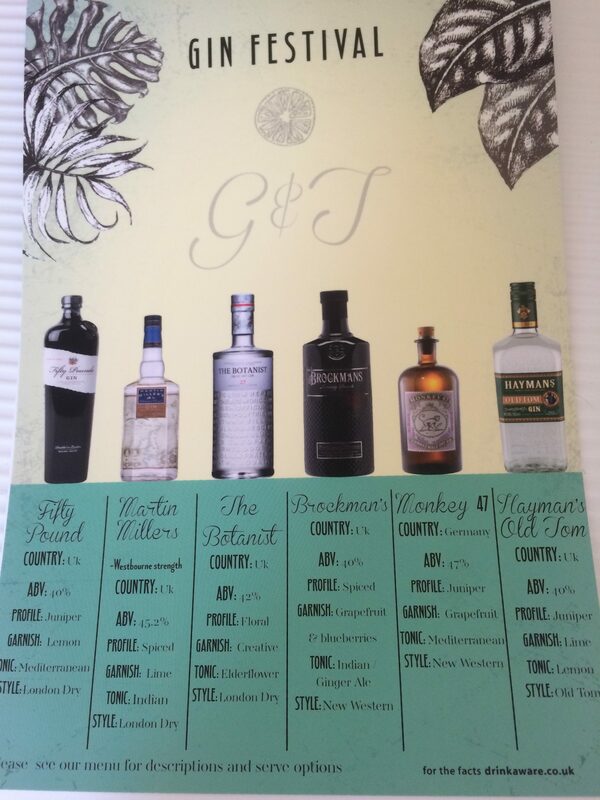 Starting at 7:30pm we will be promoting a selection of "guest" gins, tappas available and live music from 9:30pm! FINE WINES BY-THE-GLASS, ON DEMAND. Enjoy our most expensive wines by the glass..
You can now enjoy our finest wines by-the-glass such as the Châteauneuf-du-pape, Amarone, Sancerre. We are now in possession of a gadget that extracts wine from the bottle without causing it to spoil. Using a long needle that’s plunged into the bottle, leaving the cork in place while it extracts the wine. Argon gas is then pumped in which protects it from oxidation and the wine can then continue to mature without spoiling. So if its quality over quantity your looking for check out our drinks list. Guest Ale "Boondoggle, crafty blonde beer from Hampshire with a 4.2abv, now visiting the Queen Inn". A deliciously fruity beer . A stunning Spanish Gin made from 12 botanicals is making a guest appearance at the Queen Inn. Children In Need "Pop Master Quiz", hosted by Radio 2's Ken Bruce & Lynne Bowles Friday 17/06/16. We would like to thank all those that attended and supported this event. With the appearance of Ken Bruce, Lynne Bowles & Pudsey over £1400 was raised for Children in Need! Curious Brew now available on draught. A new English beer made by a Kent winemaker has been named as one of the world's best lagers in the industry's equivalent to the Oscars. The prestigious annual competition attracts entries from the world's largest breweries through to the burgeoning band of pioneering microbrewers.